Bible, ESL, Youth and Sunday School Classes. All members and visitors are welcome. Click here for more info. "His Blood Makes The Foulest Clean"
"And the Sea was No More"
"Ministry Wives" is a special program within Alberta and BC to support and encourage wives of pastors with the friendship of other Ministry Wives who understand the unique role Ministry Wives have in Parish Life and how it can affect family life. On Sunday, March 26 during the AGM at 12:10pm, there will be a Hot Dog Fundraiser to help Ministry Wives hold retreats so they can build friendships. Funds raised will be matched by FaithLife Financial. Please come and enjoy a Hot Dog lunch and support this program. Come and learn about life in Cameroon! Martin and Joan Weber, Lutheran Bible Translators, will be here on Sunday, March 12 to present their work learning the Kwanja language, creating a written Kwanja language, and then translating the New Testament into that language. For over 25 years the Weber's have dedicated themselves to this work. Enjoy a light lunch right after the morning worship service, then listen and see their experiences in Cameroon. Everyone welcome! January 26, 2017 -- Trinity members, Reg and Sean, are currently in Nicaragua helping at the Chinandega Lutheran Mission and at several churches in the area. Reg is training individuals to use computers, and Sean, along with a few co-workers from BC, are doing extensive upgrades of electrical wiring to make the electrical safe and meet modern standards. Reg writes: "This week was spent on public and deaconess training. 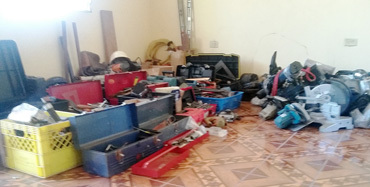 However, today, we opened up the room with the tools donated by Trinity members; a true blessing. Sorting and distribution will take a good part of next week. However, I can tell you that today shovels and picks are being used in the garden. Sean and crew will be using the electric drills next week. Thank you from your brothers and sisters in Nicaragua." 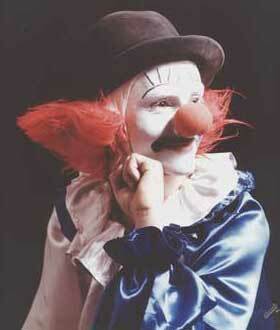 Isaac the Clown is Coming! At the 11am worship service on Sunday, February 14, 2016, Isaac the Clown (aka "Pastor Harold") will lead the entire service in a dramatic interpretation of the liturgy, from Invocation to Benediction. Everyone is invited. Bring your family and friends. Space is still available at Trinity's Little Children Centre for more children. Hours have been extended to 8:30am to 5:30pm and one can still sign up for full day, morning only or afternoon only sessions, 2, 3 or 5 days per week. If you are thinking of registering your child in the program, you are most welcome to contact the centre for a free session so that your child can meet the teachers and see what Trinity's Little Children Centre is all about. For more details please visit www.trinityslittlechildren.ca. A study on Hosea: The Prophet of Love begins on Wed. Jan 13, 2016 at 7:00pm (10 sessions). Everyone is welcome to this free study. As course materials are prepared for each participant, please sign-up or contact Pastor Harold so your materials can be prepared in time for first class. More details below. 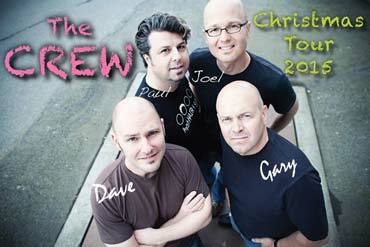 The CREW is coming Nov 29! All are invited to hear The Crew perform at Trinity Lutheran Church during the 11am Worship Service on Sunday, November 29. The Crew completed a 16,000km USA tour this summer and Trinity is pleased The Crew will make time to join our worship service as part of their 2015 Christmas Tour. As they put it: you will hear "some of our songs and some other songs by others; some acapella songs that are Christmassy and some unacapella ones that aren't. Or something." Actually, we don't know what to expect, but we know it will be enjoyable. Each performance is a bit different. Everyone is welcome to come. Invite your friends & neighbours! Note that Nov 29 is the first Sunday in Advent... having The Crew here is a great way to begin preparations for Christmas. The Crew's website is www.thecrewguys.com. Trinity's Little Children Centre is Opening September 1, 2015!!! We are very excited to announce that we are ready to open Trinity’s Little Children Centre, a ministry of our church. We have been looking forward to this for almost 2 years! 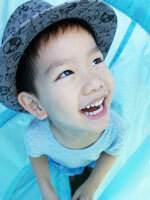 Our Centre is a licensed child care program for children 3 to 5 years of age. It offers full day child care with a preschool curriculum incorporated into the program, to prepare children for a successful transition to kindergarten. The hours are Monday to Friday 9:00 to 4:00. There is flexibility to have your child attend full days or half days, for 2, 3, or 5 days per week. We thank God for this ministry and for the opportunity to share the love of Jesus with the children and families in our community. Make plans now for some wonderful Bible Study opportunities at Trinity. There is a class and time for you. May God bless your study of His word. Classes are open to all. Click here to see full graphics. Sunday 9:30am Starting Sept 13 "Book of Exodus"
We meet in the chapel 9:30am-10:30am. for Canadian newcomers and those curious about the Christian faith. An ESL pronounciation and vocabulary class is also offered from 9:00am to 9:30am. For ages 4 to 12. Men's Breakfast and Bible Study. Meet in Chapel at 10:00am. Wednesday 7:00pm Starting Sept 16 "The Book of Ecclesiastes"
What is life like without God? How does God "rescue" us from that life? The soon-to-be-open Trinity's Little Children Centre is hosting an afternoon of grand pianos on Saturday, June 13 at 3:00pm. We will be treated to not one by two pianists playing wonderful duet performances on not one but two grand pianos! 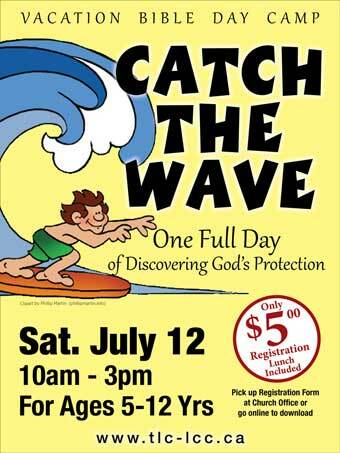 The event is free, but any freewill donations for the new preschool will be matched by FaithLife. Please plan to join us and bring your family and friends. Everyone in the community is welcome and invited to come and enjoy this performance. The Fellowship Committee invites all to a special evening on Tuesday, June 2 at 6:00pm in the Church Hall. We will be sharing a light supper followed by a presentation by Joy Fera, inductee into the Canada Games Hall of Honour and 1976 Montreal Olympic participant and World Championship bronze medalist in rowing. She will be speaking on how God tapped her on the shoulder to remind her in the midst of her sport competition obsession, of the more important focuses in life. Tickets are $10 each and funds raised will be matched by FaithLife for the soon-to-be-open Trinity's Little Children Centre. Please join us for what promises to be a memorable evening. We are getting closer to opening a new centre for preschool aged children. Work is being done to meet all the regulation requirements for the centre including preparation of a play area on the south side of the church. The current goal is to be staffed and operating by mid-2015. The centre will be called Trinity's Little Children Centre (TLC Centre). The TLC Centre will be available to children completing Trinity's successful Thursday Morning Infant & Toddler Drop-In program and will also accept children from throughout Richmond. Keep the TLC Centre in your prayers and look for more news as we get closer to Opening Day. Please join us for our six Wednesday evening Lenten worship services beginning on Feb. 18 (Ash Wednesday) through March 25. These services will begin at 6:30 pm (an earlier time than the usual 7:00pm to make it easier on young families). And here’s a real treat: The services will be led by TLC member Pastor Paul Roggow. The sermon series will take us on a journey through the Old Testament Book of Isaiah. The theme: “Singing with the Exiles” is based on materials by Pastor Roggow’s former seminary professor Rev. Dr. Reed Lessing. Budget Meeting & Hot Dogs! On Sunday, December 14, immediately following the morning worship service, there will be a congregational meeting to review and approve Trinity's 2015 budget. In addition, a lunch of hot dogs will be served with fresh home-made buns! Two of Trinity's members are planning a mission trip to Nicaragua and a free-will offering from the lunch will be taken to support the ministry in Central America. Do You have "Pasta Talent"? Now's your chance to showcase your talents,and assist with our Preschool Fundraising efforts on Sunday, May 25th at 6:00pm. We are having a pasta potluck and invite you to provide us with some talented entertainment. All talent welcome: vocalists, skits, instrumentalists, readings, etc. Funds raised will be matched by FaithLife. Please see posted sign-up list. Welcome back, Pastor & Beverly Harold! It's great to have you back from your sabbatical! Pastor Harold will lead his first worship service on Sunday, April 6th at 11am. He will also lead the Sunday morning Bible Study at 9:30am on "Myths about the Christian Faith". For those who come to Bible Class on April 6th, you will be treated to details of the Harold's experiences during the sabbatical. All members, friends and visitors are invited to come and "Welcome Pastor & Beverly Back!" on April 6. Please join us for a Potluck Dinner on Sunday, March 16 at 5:00pm. This is a fundraiser for the proposed new Preschool that is planned to start up in Fall 2014. Come for good fellowship and good food, as we share what we have together. Thank you for your excellent sermon on March 9th! You addressed the issue that creation has a big problem, namely death, and that we humans use many means to cope with death and tend to minimize death's significance. We use various tacts to comfort one another and soften the blow caused by death. We often think that death can be an escape from troubles on earth and that heaven is the ultimate answer. But your sermon points out that God does not intend for heaven to be the ultimate answer. There is something greater, something that is the ultimate answer to death. Thank you, again, for your message. Click here to listen. Discover God's Plan for Your Life! He Is Calling You! What happened after Easter morning? NOTE: See Monthly Calendar to confirm classes for current week. For kids up to age 5!